The entire content included in this site, including but not limited to text, graphics or code is copyrighted as a collective work under the United States and other copyright laws, and is the property of North American Auto Equipment. The collective work includes works that are licensed to North American Auto Equipment. Copyright 2003, North American Auto Equipment ALL RIGHTS RESERVED. Permission is granted to electronically copy and print hard copy portions of this site for the sole purpose of placing an order with North American Auto Equipment or purchasing North American Auto Equipment products. You may display and, subject to any expressly stated restrictions or limitations relating to specific material, download or print portions of the material from the different areas of the site solely for your own non-commercial use, or to place an order with North American Auto Equipment or to purchase North American Auto Equipment products. Any other use, including but not limited to the reproduction, distribution, display or transmission of the content of this site is strictly prohibited, unless authorized by North American Auto Equipment. You further agree not to change or delete any proprietary notices from materials downloaded from the site. This site and the materials and products on this site are provided "as is" and without warranties of any kind, whether express or implied. To the fullest extent permissible pursuant to applicable law, North American Auto Equipment disclaims all warranties, express or implied, including, but not limited to, implied warranties of merchantability and fitness for a particular purpose and non-infringement. North American Auto Equipment does not represent or warrant that the functions contained in the site will be uninterrupted or error-free, that the defects will be corrected, or that this site or the server that makes the site available are free of viruses or other harmful components. North American Auto Equipment does not make any warrantees or representations regarding the use of the materials in this site in terms of their correctness, accuracy, adequacy, usefulness, timeliness, reliability or otherwise. Some states do not permit limitations or exclusions on warranties, so the above limitations may not apply to you. North American Auto Equipment shall not be liable for any special or consequential damages that result from the use of, or the inability to use, the materials on this site or the performance of the products, even if North American Auto Equipment has been advised of the possibility of such damages. Applicable law may not allow the limitation of exclusion of liability or incidental or consequential damages, so the above limitation or exclusion may not apply to you. In the event that a North American Auto Equipment product is mistakenly listed at an incorrect price, North American Auto Equipment reserves the right to refuse or cancel any orders placed for product listed at the incorrect price. North American Auto Equipment reserves the right to refuse or cancel any such orders whether or not the order has been confirmed and your credit card charged. If your credit card has already been charged for the purchase and your order is cancelled, North American Auto Equipment shall issue a credit to your credit card account in the amount of the incorrect price. These terms and conditions are applicable to you upon your accessing the site and/or completing the registration or shopping process. These terms and conditions, or any part of them, may be terminated by North American Auto Equipment without notice at any time, for any reason. The provisions relating to Copyrights, Trademark, Disclaimer, Limitation of Liability, Indemnification and Miscellaneous, shall survive any termination. North American Auto Equipment may deliver notice to you by means of e-mail, a general notice on the site, or by other reliable method to the address you have provided to North American Auto Equipment. Your use of this site shall be governed in all respects by the laws of the state of California, U.S.A., without regard to choice of law provisions, and not by the 1980 U.N. Convention on contracts for the international sale of goods. You agree that jurisdiction over and venue in any legal proceeding directly or indirectly arising out of or relating to this site (including but not limited to the purchase of North American Auto Equipment products) shall be in the state or federal courts located in Los Angeles County, California. Any cause of action or claim you may have with respect to the site (including but not limited to the purchase of North American Auto Equipment products) must be commenced within one (1) year after the claim or cause of action arises. North American Auto Equipment's failure to insist upon or enforce strict performance of any provision of these terms and conditions shall not be construed as a waiver of any provision or right. Neither the course of conduct between the parties nor trade practice shall act to modify any of these terms and conditions. North American Auto Equipment may assign its rights and duties under this Agreement to any party at any time without notice to you. Harassment in any manner or form on the site, including via e-mail, chat, or by use of obscene or abusive language, is strictly forbidden. Impersonation of others, including a North American Auto Equipment or other licensed employee, host, or representative, as well as other members or visitors on the site is prohibited. You may not upload to, distribute, or otherwise publish through the site any content which is libelous, defamatory, obscene, threatening, invasive of privacy or publicity rights, abusive, illegal, or otherwise objectionable which may constitute or encourage a criminal offense, violate the rights of any party or which may otherwise give rise to liability or violate any law. You may not upload commercial content on the site or use the site to solicit others to join or become members of any other commercial online service or other organization. North American Auto Equipment does not and cannot review all communications and materials posted to or created by users accessing the site, and is not in any manner responsible for the content of these communications and materials. You acknowledge that by providing you with the ability to view and distribute user-generated content on the site, North American Auto Equipment is merely acting as a passive conduit for such distribution and is not undertaking any obligation or liability relating to any contents or activities on the site. However, North American Auto Equipment reserves the right to block or remove communications or materials that it determines to be (a) abusive, defamatory, or obscene, (b) fraudulent, deceptive, or misleading, (c) in violation of a copyright, trademark or; other intellectual property right of another or (d) offensive or otherwise unacceptable to North American Auto Equipment in its sole discretion. You agree to indemnify, defend, and hold harmless North American Auto Equipment, its officers, directors, employees, agents, licensors and suppliers (collectively the "Service Providers") from and against all losses, expenses, damages and costs, including reasonable attorneys' fees, resulting from any violation of these terms and conditions or any activity related to your account (including negligent or wrongful conduct) by you or any other person accessing the site using your Internet account. In an attempt to provide increased value to our visitors, North American Auto Equipment may link to sites operated by third parties. However, even if the third party is affiliated with North American Auto Equipment, North American Auto Equipment has no control over these linked sites, all of which have separate privacy and data collection practices, independent of North American Auto Equipment. These linked sites are only for your convenience and therefore you access them at your own risk. Nonetheless, North American Auto Equipment seeks to protect the integrity of its web site and the links placed upon it and therefore requests any feedback on not only its own site, but for sites it links to as well (including if a specific link does not work). We will not take a chance on selling marginal or poorly made products. We offer imported and USA made quality product. The absolute Lowest Freight prices you will find and will not exaggerate delivery times. All calls returned - service or sales - in a polite courteous and timely manner. We will not exaggerate or oversell a products capability. Full factory direct warranty (except for used or specified). Nortecdirect.com and/or naautoequipment.com will always maintain the highest ethical standards practices and maintain it's relationships with our customers for maximum success. If we can’t ship it, we will not charge it. A 50% deposit will be taken on custom orders and we will charge the customer the reminder of the balance when the order is compete and ready to ship. Our goal is to make certain that Nortecdirect.com and/or naautoequipment.com never processes a credit card transaction for a customer without a clear and accurate lead time for shipping. ALL RETURNS MUST BE AUTHORIZED BY Nortecdirect.com and/or naautoequipment.com& WILL BE AT EXPENSE OF CUSTOMER. No new product will be sent out as a replacement until original merchandise received OR deposit taken by credit card. Customers are responsible for unloading equipment. Warranty varies (*see below) to origin of product and does not include labor. Delivered product may vary from pictured item (i.e. including power unit. Nortecdirect.com and/or naautoequipment.com will provide Duro or Vibo power unit with all lifts. Monarch and SPX power units available for an additional fee.). The customer must visually inspect the equipment UPON DELIVERY and note any potential freight damage on the receiver. If a customer signs clear on the receipt, neither the trucking company nor Nortecdirect.com and/or naautoequipment.com will be held responsible for filing a freight claim or for any freight damage. The customer must advise Nortecdirect.com and/or naautoequipment.com within 72 HOURS after receipt to report any concealed damage or missing parts. This 72 HOUR requirement must be met to be covered under warranty. Structural Warranty: Nortecdirect.com and/or naautoequiipment.com offers the following parts and structural components carry a five year warranty: Columns, Legs, Tracks, Arms, Carriages, Cross Rails, Uprights, Overhead Beams, Top Rail Beams and Swivel Pins. Limited One-Year Warranty: Nortecdirect.com and/or naautoequipment.com offers a limited one-year warranty to the original purchaser of Nortecdirect.com and/or naautoequipment.com lifts in the United States and Canada. Nortecdirect.com and/or naautoequipment.com will replace, without charge, any part found defective in materials or workmanship under normal use, for a period of one year after purchase. The purchaser is responsible for all shipping charges. This warranty does not apply to equipment that has been improperly installed or altered or that has not been operated or maintained according to specifications. Other Limitations: This warranty does not cover: 1. Parts needed for normal maintenance. 2. Wear Parts, including but not limited to cables, slider blocks, chains, rubber pads and pulleys. 3. Replacement of lift and tire changer cylinders after the first 30 days. A seal kit and installation instruction will be sent for repairs thereafter. 4. On-site Labor. To the fullest extent allowed by law, Nortecdirect.com and/or naautoequipment.com shall not be liable for loss of use, cost of cover, lost profits, inconvenience, lost time, commercial loss or other incidental or consequential damages. Parts/Installation: North American Auto Equipment, recommends that you employ a certified electrician to complete installation of your automotive equipment. North American Auto Equipment is not responsible for any problems or damage that occurs from the installation of the power unit and/or motor by anyone who is not a certified electrician. North American Auto Equipment is by law not able to provide an electrical wiring diagram. North American Auto Equipment is not responsible for any cost that may arise from the certified electrician or any repair costs caused by improper installation of power units and/or motors on any shop equipment. If any disputes arise, North American Auto Equipment will require a copy of the invoice from the certified electrician with an itemized report of the work done. All parts a customer finds defective must be returned for inspection before a replacement is shipped. All parts will be inspected by us and if found to be defective a replacement and/or repair to parts will be sent. If no defect is found, customer is responsible for all shipping costs of all parts. The shipping costs must be paid by customer prior to any parts being sent back to customer. Auto Lift Motors are for use indoors and will not be warranted if installed outside. Installation does not include the following: purchase of required hydraulic oil, purchase of required power plug, instruction on how to use your shop equipment, delivery of the product to your location, repair of any parts damaged in shipping. You must have the proper electricity in place at the location of the installation. If proper electricity is not available, customer is responsible for any cost resulting from the installer having to make multiple trips to the installation site to complete the job. If the installation site is not in a condition for safe installation of the equipment, the installer is not required to complete the job. Installer is not required to cover any labor concerning warranty items or warranty maintenance of the auto equipment. There is no labor warranty on any products. Installation does not include regular maintenance. Regular maintenance includes but is not limited to: Adjustment of equalizing cables on lifts, maintaining proper oil level, tightening or loosening of any hardware, replacing any wear parts(includes any moving parts), lubricating where needed, maintaining a clean environment for the product, periodically checking all parts to make sure they are functioning properly. All of these things are functions that need to be completed by the customer that is using the product. Canadian and Mexican customers are responsible for any duties, taxes, and, if applicable, brokerage fees to clear the equipment purchased through customs. A commercial invoice will be provided to the customer and the customs broker (provided we get that information) and the freight company delivering the equipment. Nortecdirect.com and/or naautoequipment.com will not and cannot assume responsibility for these charges. Your machine / machines will ship on a major truck line and deliver to anywhere in the lower 48 USA. Customer is responsible for offloading the machine from the delivery truck. This can be done with a forklift, tow truck, back hoe. The driver is not required to help unload your machine. Driver is not required to drive onto your residence if he feels it is dangerous to him, his truck, or your property. 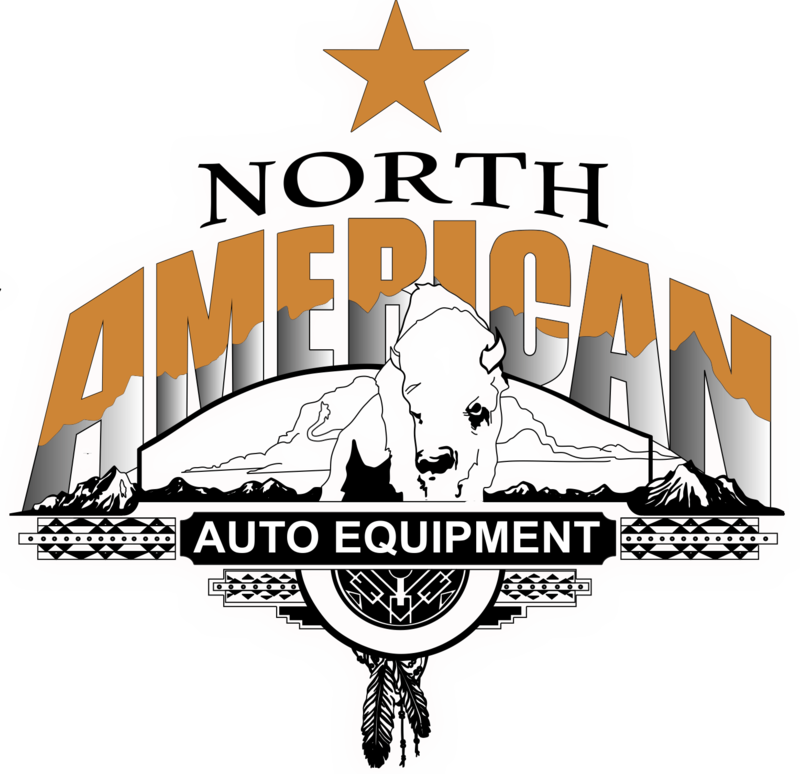 North American Auto Equipment assumes that when a customer provides a business name, the business is open from 8AM-5PM Monday-Friday, the business is located at a commercial address, and that the business does not have a home or any other living residences on the property. North American Auto Equipment will not be responsible for redelivery charges to businesses that are not open during the above mentioned hours when the first delivery attempt was made. Any redelivery or residential delivery cost that are incurred due to misrepresentation or fault of the customer, must be paid in full to North American Auto Equipment or the warranty on the respective product is void. Any storage charges from the respective freight company must be paid in full before automotive equipment will be released for delivery. All shipping cost for international shipments must be paid by customer including shipments for warranty parts. Any costs left unpaid will void the warranty. Customers are responsible for off loading from delivery truck any and all shop equipment at time of delivery. Lift gate service cannot and will not be provided for auto lift and motor cycle lift delivery. There is no guaranteed time of delivery, but delivery will not exceed (90) days from the date of order. Custom orders can exceed the (90) day delivery time limit. Any and all shipping costs quoted by or paid to North American Auto Equipment to international customers do not include the following: Customs clearance, customs brokerage, duties, taxes, storage in bond charges, inspection charges, or any other charges imposed by customers respective country or in relation to importation of the goods. These costs are considered the customers personal costs and are the sole responsibility of the customer. We are not responsible for redelivery charges if you misrepresent being an actual business. Any business conducted from your residence is not considered a commercial business and will be treated as a residential delivery. If you live outside of the USA, any freight costs quoted do not include the following: Customs clearance, duties, taxes, storage charges for freight held in bond, inspection charges, Brokerage fees, or any other costs assessed by your respective country. All of these charges are your responsibility. We recommend you use the services of a Broker to properly clear customs. Any charges left unpaid will in effect void your warranty on the product purchased. Free freight (When Advertised) included in the price is only for shipping within the USA lower 48 states. This does not include Alaska, Hawaii, Puerto Rico, Virgin Islands, Mexico, or Canada. Please call or email for shipping costs to these places. All sales considered final as soon as product leaves our dock, at this point Nortecdirect.com and/or naautoequipment.com is no longer responsible for damage as a result of carrier error. Buyer must note any and all freight damage on the bill of lading at time of delivery. Freight claims: We will provide excellent service and assistance in helping our customers file freight claims, payment of the claims is the sole responsibility of the Freight Carriers. Return Merchandise is subject to a 20% re-stocking fee. Returned equipment must be inspected by a warehouse manager to determine if any damage or wear has devalued the equipment. Shipping Charges and Credit Card Transaction Fees will be the charged against refunds. The customer must visually inspect the equipment UPON DELIVERY and note any potential freight damage on the receiver. If a customer signs clear on the receipt, neither the trucking company nor Nortecdirect.com and/or naautoequipment.com. will be held responsible for freight damage. 72 HOUR REQUIREMENT after receipt to report any concealed damage or missing parts. As you know, we have a limited window to file freight claims and Nortecdirect.com and/or naautoequipment.com will not be responsible if we are not notified within the 72 hour window. If you use your own carrier then Nortecdirect.com and/or naautoequipment.com will not be responsible for filing a freight claim or for any freight damage. The customer must visually inspect the equipment UPON DELIVERY and note any potential freight damage on the receiver. If a customer signs clear on the receipt, neither the trucking company nor Nortecdirect.com and/or naautoequipment.com will be held responsible for freight damage. Please also make sure they are advised of our 72 HOUR REQUIREMENT after receipt to report any concealed damage or missing parts. As you know, we have a limited window to file freight claims and Nortecdirect.com and/or naautoequipment.com will not be responsible if we are not notified within the 72 hour window. If you use your own carrier then Nortecdirect.com and/or naautoequipment.com will not be responsible for filing a freight claim or for any freight damage. Parts Transportation is only covered for the first 7 days of receiving your product, thereafter any UPS or parts shipping charges will be the purchasers responsibility. Transportation on parts will not be covered by Nortecdirect.com and/or naautoequipment.com after the 7 day grace period upon delivery. Nortecdirect.com and/or naautoequipment.com, offers a limited one-year warranty to the original purchaser of our private label lifts in the United States and Canada. Nortecdirect.com and/or naautoequipment.com will replace, without charge, any part found defective in materials or workmanship under normal use, for a period of one year after purchase. (Unless specified) The purchaser is responsible for all shipping charges. This warranty does not apply to equipment that has been improperly installed or altered or that has not been operated or maintained according to specifications. If lift is installed on cracked or insufficient concrete, this will automatically void user's warranty. User must appropriately fix concrete where lift is to be installed. After user is in compliance and cleared by plant, warranty will go back in effect. If any parts are needed within that time they can be purchased at full retail price.